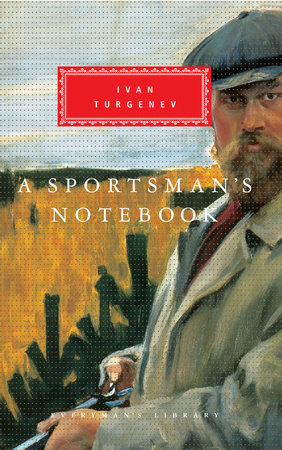 Ivan Turgenev’s first literary masterpiece is a sweeping portrayal of the magnificent nineteenth–century Russian countryside and the harsh lives of those who inhabited it. In a series of sketches, a hunter wanders through the vast landscape of steppe and forest in search of game, encountering a varied cast of peasants, landlords, bailiffs, overseers, horse traders, and merchants. He witnesses both feudal tyranny and the fatalistic submission of the tyrannized, against a backdrop of the sublime and pitiless terrain of rural Russia. These beautifully embellished, evocative stories were not only universally popular with the reading public but, through the influence they exerted on important members of the Tsarist bureaucracy, contributed to the major political event of mid–nineteenth–century Russia, the Great Emancipation of the serfs in 1861. Rarely has a book that offers such undiluted literary pleasure also been so strong a force for significant social change. With an introduction by Ivan Turgenev, this version was translated by Charles and Natasha Hepburn.